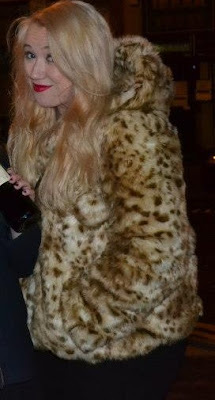 Iona Blog : "There's a guy behind me touching my fur coat..." Happy New Year! "There's a guy behind me touching my fur coat..." Happy New Year! Well Happy New Year everyone, this week has once again been a full on one and to a certain extent I'm actually glad to be going back to college, and getting back into a normal routine! I've been doing so much overtime lately, which is good (money-wise) but I am rather exhausted and have a load of coursework to catch up on! Bleurgh! Day off tomorrow though and I shall be spending it getting ready for going back to college on Tuesday, making a start on coursework, scheduling a few blog posts and generally tidying up, as well as a nice wee coffee at The Burgh as shockingly I haven't had one at all this year! I spent New Year with friends in Edinburgh drinking wine and cocktails, eating 'Party' chicken at the flat and Chilli con Carne in the pub, dancing around like crazies with Alice and Kate to Auld lang Syne in the Polwarth Tavern, making best pals with the locals and all in all having a random but glorious Hogmanay :) How did you all spend Hogmanay? Even though it feels a little like a distant memory... I've spent the time since working and catching up with my lovely friends, sitting for hours in a coffee shop, with discussions ranging from surviving the 'Apocalypse' to the likelihood of another World War... hmmm? Deep conversations. After work dinner and cocktails with Ami, anyone noticing a favourite beverage emerging? (for anyone wondering I do love a Raspberry daiquiri!) 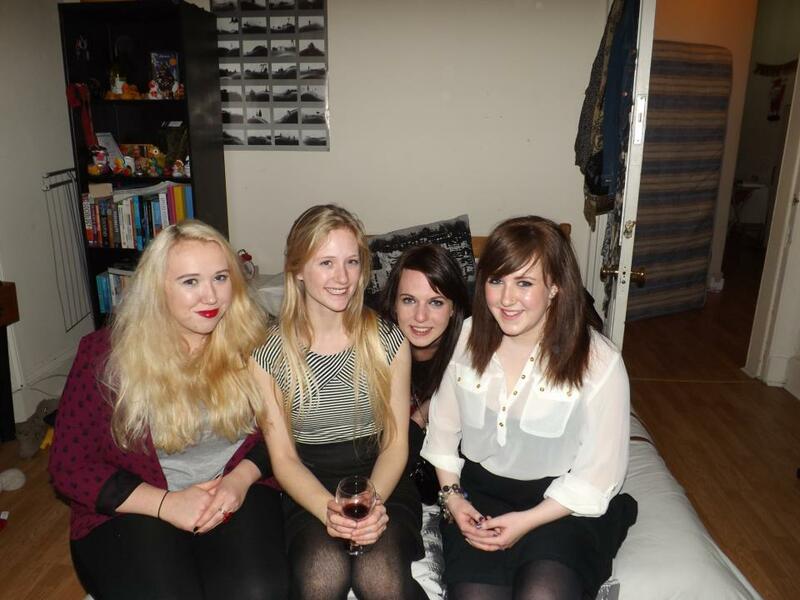 Then a belated Christmas/Birthday night out with the college lot, before a well deserved day off yesterday! I'm not usually one for New Years Resolutions and I'm not strictly setting this as one though I intend in life to from now on be more spontaneous and less uptight! We'll have to see how it goes though... Not sure I'm ready for a spur of the moment holiday yet, I like to meticulously plan! For now I'm off to make a cup of tea (herbal of course as it's bed time) and tuck myself into bed with a book, though first I'll need to decide what to read and choose from my massive book case! :O But anyways I hope you've all had a lovely first week of 2013 as I certainly have, I was surprised with the loveliest most thoughtful belated Christmas gift from my friend who just returned from Amsterdam :) and have spent time with some of my closest friends and family, 2013 is going swimmingly so far, even if I did spill carrot and corriander soup allover myself today, forever clumsy. No wonder people love touching your fur coat! The moment I saw it, I imagined right away how soft and cuddly it is! In fact, I probably would have been one of those who touched your coat if I saw you that night. And it must feel pretty warm to have it wrapped around you too!